You wouldn't wear stilettos with track pants (I hope!) So ensuring you have the right bouquet for the right gown and body shape is vital, and you will stand out for all the right reasons! Your wedding flowers should compliment your entire look, not overtake everything else! If you have a gorgeous ornate gown, a small simple bouquet will compliment without competing for attention. Don't hide yourself behind a mass of flowers and colours. Simple and elegant is the key. Your Mum or Aunty may have thought giant lily's and red carnations was the height of trendiness in the 80's. Being right on trend may be great now, but it won't be long before it is well out of vogue. Keeping your flowers elegant and unique will look great for your Wedding Day, and you will proudly be able to display your wedding pictures for the grand kiddies to see for many years to come. If your wedding day is right at the start or end of your chosen flowers season, it is always a good idea to think of an alternative. Choosing a "back-up bouquet" will give you peace of mind, just in case your flower is unavailable. We can help you pick some alternative blooms that will keep with your theme and colour scheme, so no matter what happens, you will have beautiful fresh bouquets for your big day! As we mentioned earlier, complimentary or contrasting colours look fantastic on hard to match gowns. It's our job to help guide you towards colours that will work best for you and your Bridesmaids. And remember when in doubt, white blooms will match with any colour, style, shape and size! It is easy to become so immersed in your wedding preparations. Do you really need to know the exact measurements of a leaf for a buttonhole? Or exactly how many petals are in the box of mixed rose petals! (yes I was recently asked both those questions) Getting caught up on the small things is a waste of your time and energy. We are the professionals, we will ensure everything is perfect, so flip off the Bridezilla switch and take your fiancé out for the day! Not sure if a flower is in season? or what colour a mum's corsage should be? Ask us! We are happy to answer any flower questions you have (except that rose petal question!). Our Brides will email and call us unlimited times with questions, queries and changes. We love it! The more questions you ask us, the better we can ensure we create the wedding flowers you have dreamed of. Here at Lovely Bridal Blooms we are industry trained floral designers. We know what will look amazing and what doesn't. We have created hundreds of weddings, and will offer you advice at every step of the way. 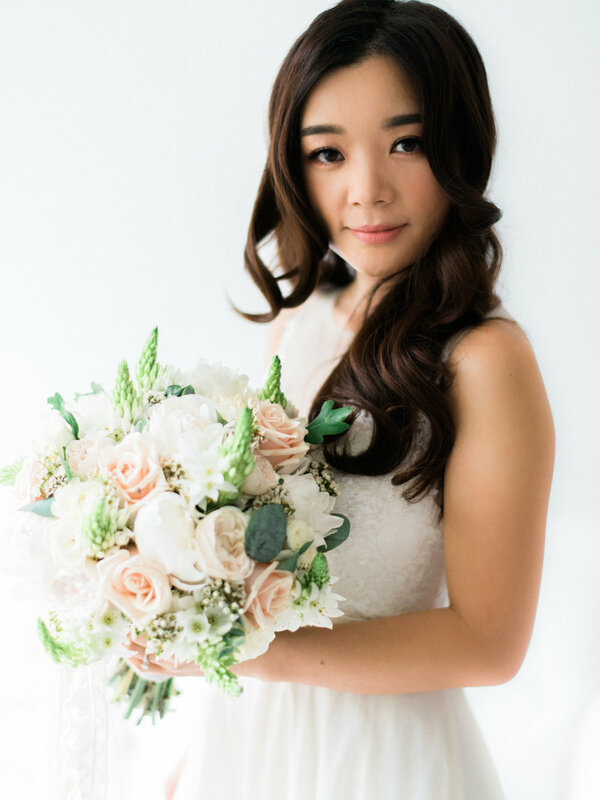 We aim to create bouquets that are a perfect reflection of you and your wedding day. We will ask you lots of questions because we want to get your flowers perfect. We ensure we get all the details right, down to the smallest buttonhole!